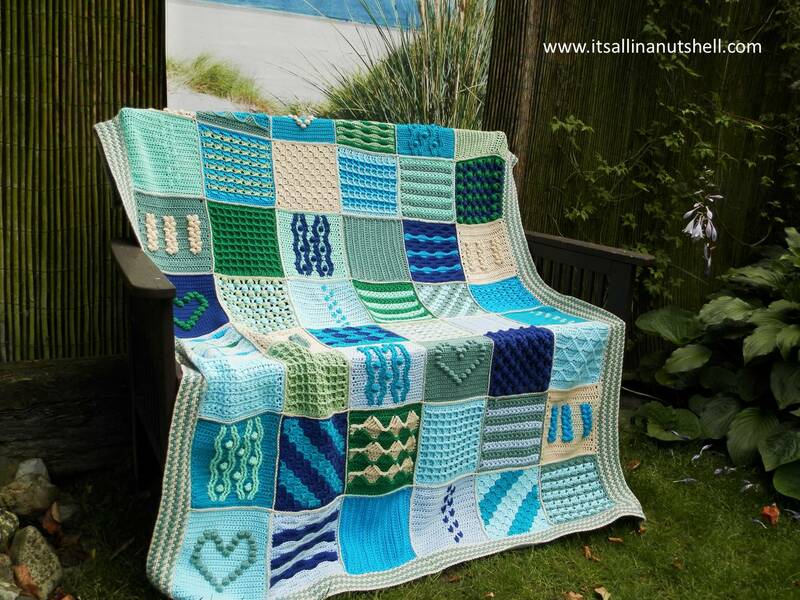 This page contains all right and left handed video tutorials for the Scheepjes Crochet Along 2016, Last Dance on the Beach which has been designed by a group of designers in memory of Wink. All patterns can be found on the Scheepjes website. Please note that UK Terminology is used in these videos. If you are unsure about conversions between US and UK terms, you can find a conversion chart for the most common terms here. You can choose a base kit with Color Crafter yarn or a luxury kit with Merino Soft yarn. The three color ways are Dance in the Sea, Dance in the Rain and Dancing under the stars. Kits are available from Caro’s Atelier (NL/EU), Wool Warehouse (UK/International), Deramores (UK/International), or your local Scheepjes stockist.